Circular portrait miniature of an unknown woman, head and shoulders, wearing a bonnet, a white fur collar and a gold necklace or crucifix. Provenance: The Duke of Beaufort; Christie's 13 December 1983, Lot 91; Brian Pilkington. 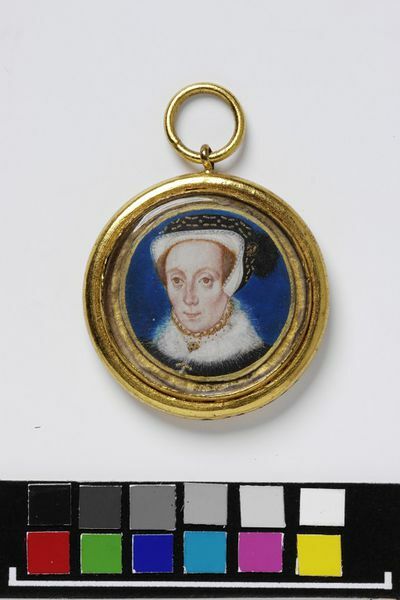 Portrait miniature of an unknown woman, ca. 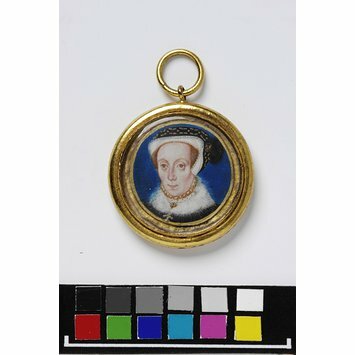 1560, watercolour on vellum, painted by Levina Teerlinc (ca. 1510/20-1576).